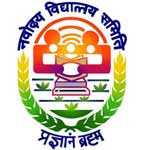 NVS Recruitment 2017 – Apply Online for 683 Non-Teaching Posts :- Navodaya Vidyalaya Samiti (NVS) has issued notification for the recruitment of 683 posts of Audit Assistant, Hindi Translator, Lab Attendant, Female Staff Nurse, LDC / Storekeeper, Catering Assistant, Lower Division Clerk & other posts. Interested & eligible candidates can apply online through official website of Navodaya Vidyalaya Samiti. Online Application will start from 12/11/2017 and the last date for submission of online application is 13/12/2017. 1. Audit Assistant : B Com from a recognized University. 2. Hindi Translator : Masterâ€™s Degree from the recognized University in Hindi / English with other language than Masterâ€™s Degree at graduation level. 3. Stenographer : Senior Secondary School Certificate (Class XII). Shorthand speed of 80 words per minute and typing speed 40 words per minute in English. 4. Lower Division Clerk (LDC) : Senior Secondary (Class XII) certificate from a recognized Board with 50% marks and possessing minimum speed of 30 words per minutes in English typing or 25 words per minutes in Hindi typing correspond to 10500 KDPH as on average of 5 key depressions for each word. 5. Female Staff Nurse : Passed Sr. Secondary Examination (Class XII) or equivalent and Grade â€˜Aâ€™ (Three years) Diploma/Certificate in Nursing from recognized Institution. 6. Catering Assistant : Secondary School (X class pass) and three years Diploma in Catering or equivalent from an Institution recognized by Ministry of Tourism, Govt. of India/State Govt. 7. LDC / Storekeeper : Senior Secondary (Class XII) certificate from a recognized Board with 50% marks and possessing minimum speed of 30 words per minutes in English typing or 25 words per minutes in Hindi typing correspond to 10500 KDPH as on average of 5 key depressions for each word. 8. Lab Attendant :Middle Pass with General Science. Examination fee : Staff Nurse, Audit Assistant & Hindi Translator : Rs. 1000/ -, Catering Assistant & Stenographer : Rs. 750/ -, Lower Division Clerk/ Storekeeper: Rs. 750/ -, Lab Attendant: Rs. 750/-. No fee is required to be paid by candidates belonging to SC/ST/PH /Ex – Servicemen categories. Commencement of Online Application : 12/11/2017. Last Date of Online Application : 13/12/2017. How to Apply: Interested & Eligible Candidates can apply online through http://www.nvshq.org / http://www.nvsnt2017.org from 12th Nov 2017 to 13th Dec 2017. Subscribe our Free Job Alert Mail Service for NVS Recruitment 2017.